You'll widen your circle of friends--networking and socializing with Brothers from many lodges in a friendly atmosphere. Our meetings include an appetizing meal and plenty of time for seeing old friends and meeting new ones. You’ll be educated and entertained. We build on the foundation of blue lodge Masonry with interesting and inspiring degrees whose themes will help you improve yourself in Masonry and that are fun to experience. You’ll meet in a welcoming place that is convenient to get to and that has convenient parking. You’ll join with your Brothers in the quest for perfection of character as a part of our life’s work. We teach and are committed to the core values of Reverence for God, Personal Integrity, Justice, Tolerance, Devotion to Country, and Service to Humanity. You’ll have the opportunity, if you wish, to try something new: taking part in our degrees as an actor (speaking or non-speaking), helping out as a member of the production staff, or working on Valley activities. You’ll enjoy special events for couples and families that let them see what we do and how much fun we have together. 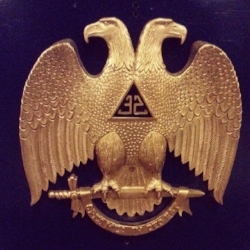 The Scottish Rite is a fraternity of Freemasons that provides its members with opportunities for fellowship and personal growth while offering a wide range of activities for members and their families. Master Masons who are members in good standing of a regular symbolic lodge may apply for membership in the Valley of the Merrimack. Contact the Secretary. Scottish Rite Masons in good standing may make application for affiliation with the Valley of the Merrimack. Contact the Secretary.